Each year on Father's Day, the city of Beverly Hills hosts a high-end automotive show known as Concours d' Elegance. 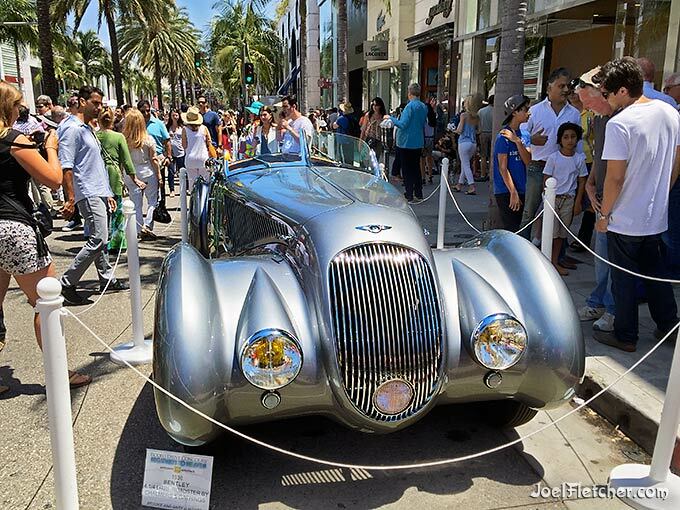 Spectators come from far and wide to see the amazing selection of exotic cars, held on the legendary Rodeo Drive, the playground of the rich and famous. This Bentley Roadster garnered a lot of attention at the 2015 show.